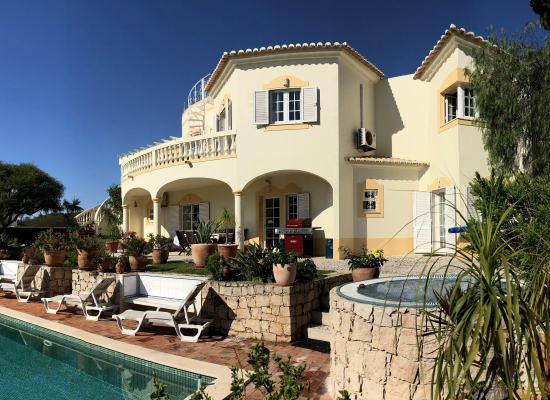 Luxury four bedroom Algarve holiday villa sleeping eight guests. 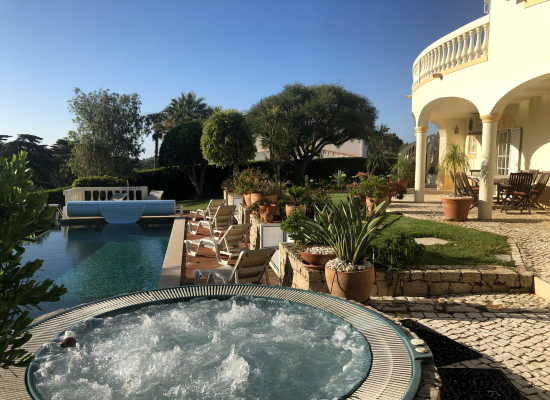 Casa Palmeira is a four-bedroom luxury self catering Algarve holiday villa situated in what we think is the best location in the whole of the Parque da Floresta Golf and Leisure Resort near Lagos, just one hour from Faro Airport, in Portugal's Western Algarve. 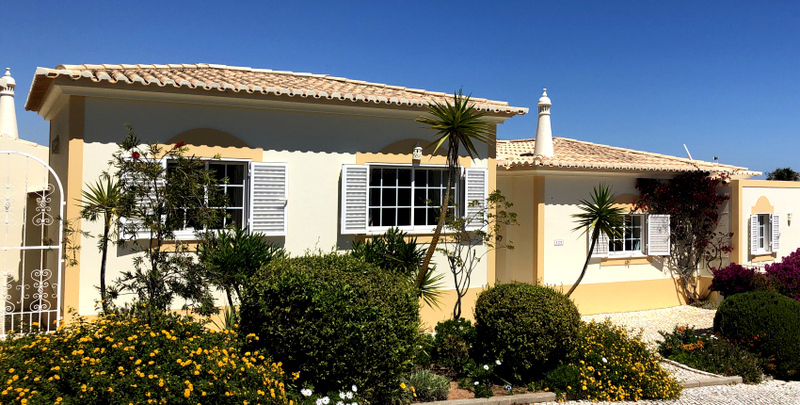 This luxury self-catering Algarve holiday villa enjoys the best of all possible advantages, basking in the sun on the edge of the 12th fairway, yet sheltered from the breeze. It has terraces cleverly positioned to take best advantage of the sun at any time of day, but also has plenty of shade for those days when it just a little too hot. The villa has been designed to be comfortable for the whole family, and we have tried to make it just that little bit special, with top quality furniture, towels and bed linen. We know that it is the little things like thick sumptuous towels that can make a vital difference to a memorable holiday. 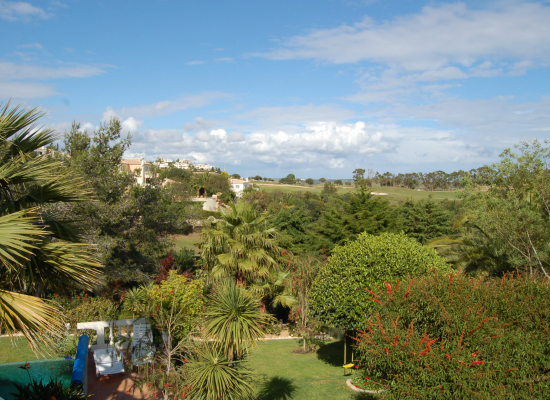 Casa Palmeira is situated in a quiet cul-de-sac among other large Algarve villas. 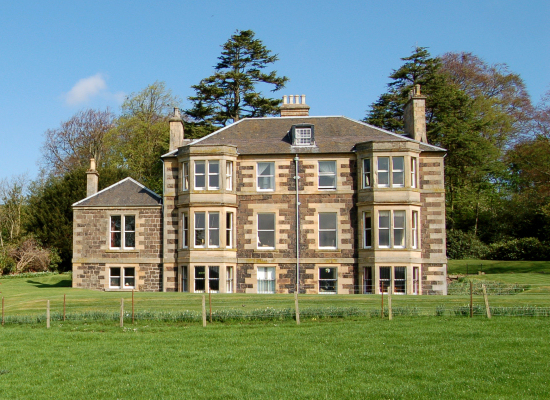 The accommodation in the villa is on two levels with the sitting room, dining room, kitchen, study and master bedroom with en-suite bathroom on the upper level, and a small kitchen, three guest rooms, one en-suite, and a family bathroom on the lower level, which is on the same level as the gardens and private swimming pool. There is now also a roof terrace. 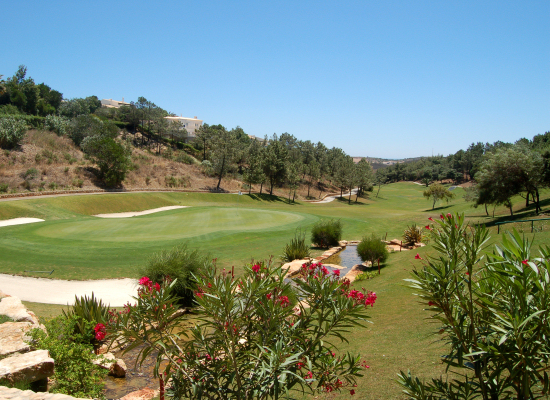 Inside, the villa is spacious and provides all the comforts of home, and perhaps a few extras. 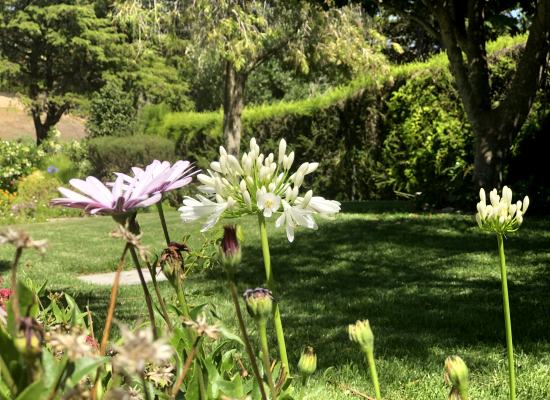 The villa was designed with careful attention to detail, which makes it a special place to stay. Throughout the house you will find paintings by some of our favourite Scottish artists. 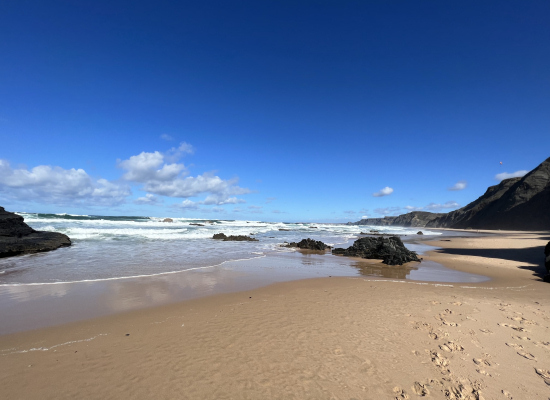 Like Portugal, the light in Scotland is special for artists, though the climate is rather different! If you are visiting in the cooler months, the villa has underfloor heating, and the sitting room has a log-burning fire. The sitting room is light and airy with cool tiled floors, large leather sofas, and good quality home entertainment equipment, including a wide-screen TV with a DVD player and the main UK television channels and a Bluetooth sound bar. This improves the sound quality of the televison and DVDs. and you can also stream music through it from your own smart phone or tablet. We have also supplied a library of family DVDs for your enjoyment. The mix is eclectic and probably reflects most families' tastes - from Disney to Steven Segal, with a sprinkling of Harry Potter. We are also old enough to enjoy traditional books, so if you run out of reading material on your Kindle, we think you will find something on the bookshelves to keep you amused, as there were 1,200 books at the last count. Patio doors lead on to one of the many terraces that overlook the garden. This is a wonderful place to sit in the early morning sunlight, as you watch the first golfers of the day play the 12th hole. 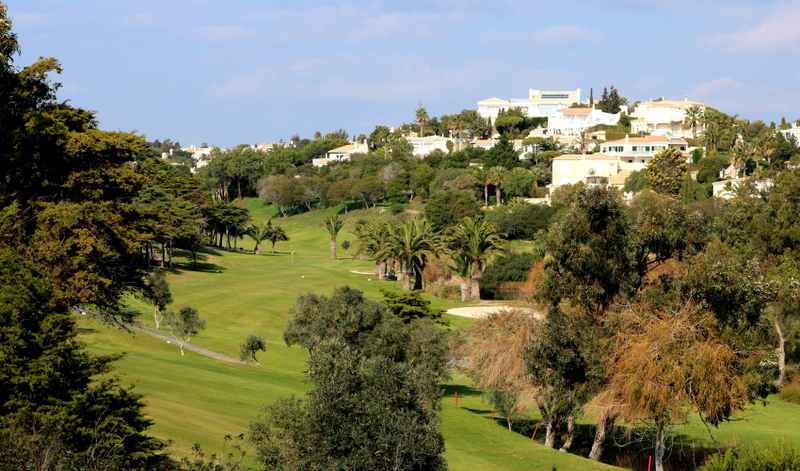 We provide free Wi-Fi, with additional boosters around the villa to improve the speed and coverage. The sitting room opens into the dining room and kitchen, which are both fresh and bright. The kitchen is well stocked with all the appliances you might expect, to let you cook as much or as little as you want. It is well stocked with all the glasses plates and utensils you might need, mostly shipped over from John Lewis. The study is off the hall, and has another wide-screen television with a DVD player and an XBox 360 games console, which are very useful for keeping the children entertained. We also supply free Wi-Fi broadband and the use of a monchrome printer - just bring your own laptop. The study also has air-conditioning. The master bedroom is on the same level as the living accommodation, with an en-suite bathroom with a spa bath, two basins, a bidet, and a separate shower cabinet and dressing room. We have tried to make the Master Suite a special place, with a super-king-size sleigh bed made by traditional craftsmen from mature cherry timber, with matching furniture. The bedroom is decorated in light Mediterranean colours, with beautiful floor tiles. The air conditioning makes it a wonderful, cool, retreat from the heat of the day. It has patio doors leading on to the terrace. This room is blessed with splendid views of the sunrise, which comes up over the horizon to the east; it is a particularly beautiful sight and quite breathtaking. The three guest bedrooms, two doubles and one twin, are accessed down a flight of stairs to the ground level. All have air conditioning and patio doors on to the terrace leading to the swimming pool. The first double bedroom has a king-size bed and an en-suite shower-room. With matching furniture, luxurious linen, and air conditioning, it is a special haven of peace and tranquillity. The two remaining bedrooms are comfortable furnished with bright rugs and bedcovers. Both rooms are freshly decorated, and we have continued the upstairs theme of using art to bring them to life. They share a well-equipped bathroom and toilet. Our large outdoor swimming pool, heated in the shoulder months and in high season, is the focal point of the outside space. Styled in unusual green tiles, it is certain to be a highlight of your holiday! Pool heating is included in the rental price from May to October. We have also built an amazing new hot tub, with built in lights, which seats five to six adults comfortably. It is a great addition to the garden that can be enjoyed at any time of year. 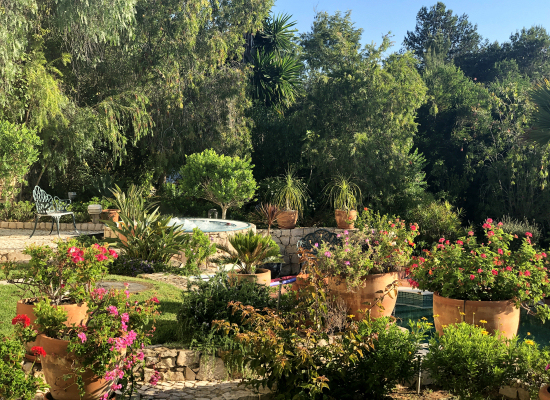 On holiday, the outside is just as important as the inside, and the garden at Casa Palmeira is just perfect for relaxing, with plenty of mature trees with orange, guava and lemon trees, flower borders and lawned areas. The gas barbeque is on the terrace, close to the ground floor kitchen and near the swimming pool, so that the cook needn't miss out on the holiday atmosphere. And, because we know that eating outside is an important part of any holiday, there is a large eating area in the shade, surrounded by pots of flowers. We provide a welcome pack with a variety of local foods for all guests on arrival. All bathrooms are provided with complimentary Crabtree & Evelyn toiletries. 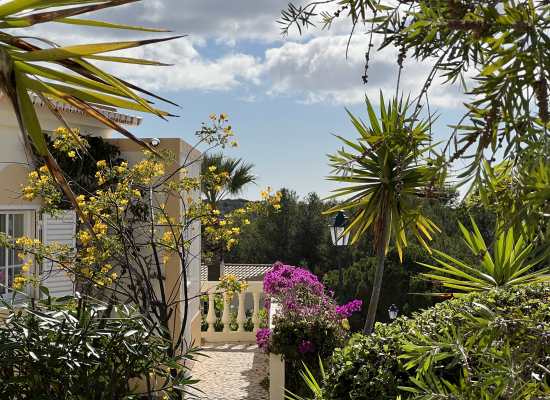 Our local property managers, who are both English, are available to sort out any little problems that may occur during your stay in the villa. Hopefully, you won’t need them, but it’s good to know that help is at hand if required. 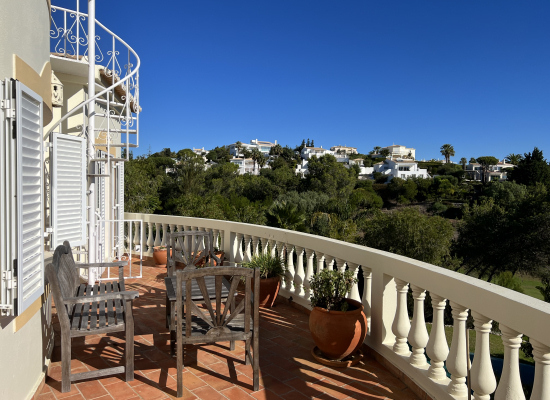 The prices and availability of this holiday villa rental are shown on-line. Please contact us if you have any questions or would like to book the villa. 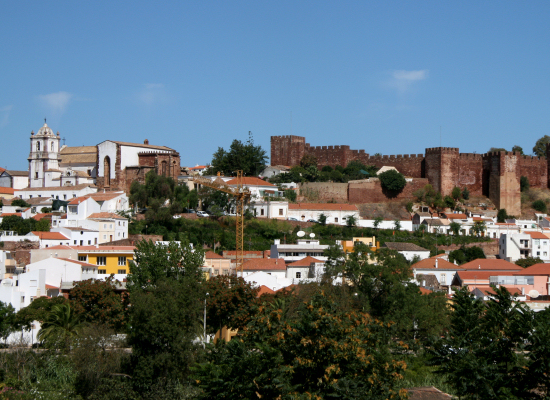 We love this area of Portugal, and we think you will too. Many of our guests return year after year. 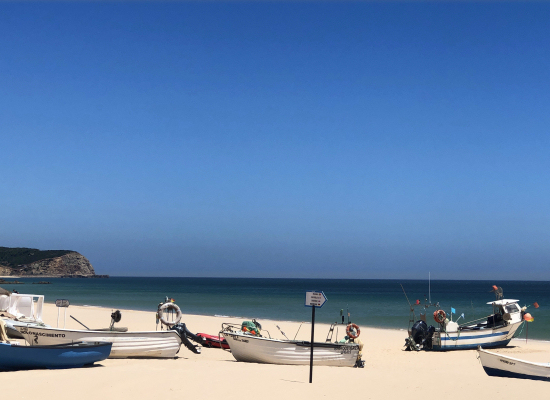 Clearly, they agree that Casa Palmeira is a special place, and we think you will love it too!